Greek music rights organization Grammo has filed an application to block 11 pirate sites, including RARBG, Torrentz2, and Rutracker. The government-affiliated body that oversees the national blocklist has approved the request but the respective site owners were given a few days to obtain proper licenses or file an appeal. ISP blocking has become a prime measure for the entertainment industry to target pirate sites on the Internet. The practice has been around for over a decade and has gradually expanded to more than 30 countries around the world. Last year Greece stepped in. Following a request from EPOE, a local anti-piracy group which represents the interests of major Greek copyright holders, more than three dozen sites were blocked, including The Pirate Bay. That was only the start, it appears, as Greek music rights organization Grammo has now joined in as well. The group filed a blocking application with the Hellenic Copyright Organization (OPI), a special commission that falls under the Greek Ministry of Culture and Sports. The targeted sites include the popular torrent sites RARBG.to, Torrentz2.eu, LimeTorrents, and TorrentDownloads. The list is further made up of various pirate linking sites, such as Ellinomania.eu, Warez‐bb.org, Newalbumreleases.net, Boerse.to, Greekddl.net, and Music‐bazaar.com. Hellenic Copyright Organization reviewed the request and concluded that it meets all requirements. Grammo, for example, said that it contacted the sites in question, but only received a response from Torrentz2. The torrent site did indeed remove the links, as requested, however, new links pointing to similar content appeared soon after. According to the Government-affiliated commission, the music group has made it clear that the targeted sites are involved in copyright infringement. This means that ISPs will soon be asked to expand their blocklists with the new domain names. Before the blockades go live, the respective site owners were informed about the decision. There were given the opportunity to obtain proper licenses within ten days, or alternatively, appeal the decision. “You may voluntarily comply with the applicant’s request or obtain from the applicant a relevant license within ten (10) working days from the date of receipt of the notification,” Hellenic Copyright Organization writes. “Alternatively, you may raise your objections to the Committee within five (5) working days from the date of receipt of the notification, sending, at the same time, all the evidence showing, in particular, that there is no infringement,” the letter adds. The Greek system is different from that of many other countries because it doesn’t involve a court. 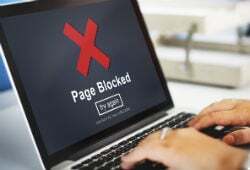 It’s an administrative procedure which allows copyright holders to swiftly request pirate site blockades, without the need for lengthy and costly legal proceedings. Following the previous blocking request, several popular Greece pirate sites, including Xrysoi, Gamatotv, Tenies-Online, Oipeirates, and Tainio-mania, swiftly moved to new domain names. These remain available today and are among the most-visited sites in the country. A copy of the blocking notification sent to the respective site operators is available here (pdf).